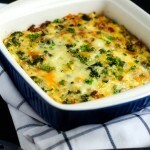 This Broccoli, Kale & Sun Dried Tomato Quinoa Breakfast Casserole is a nutritious start to your day! 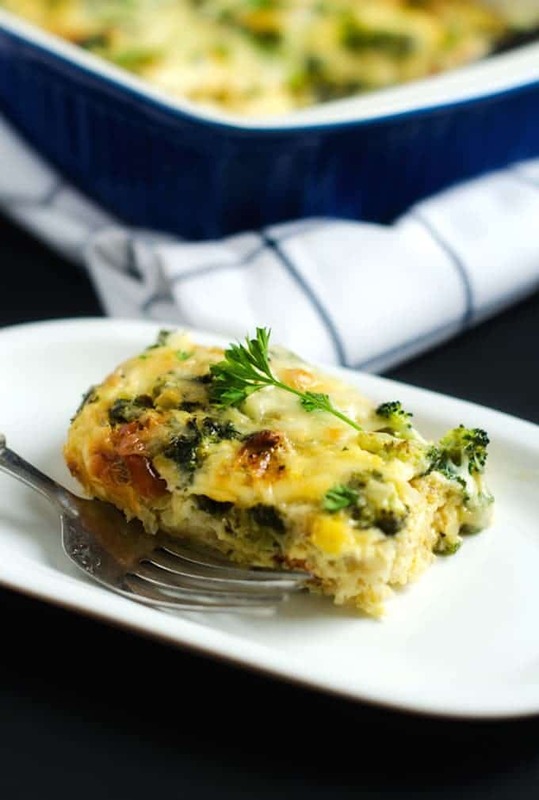 Loaded with vegetables and protein, it is the perfect way to fuel your day. While some people can happily skip breakfast, that has never been me. I’m not sure what the reason, but I wake up hungry. After coffee, I am always ready for breakfast. Since I get up around, 5 am most days I am typically eating breakfast before 6 am. Usually, everyone but Skye and I are still asleep. This means banging in the kitchen to make breakfast just won’t do. 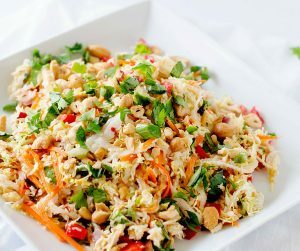 Often, I just have a salad that I’ve prepped on the weekend for breakfast. But I crave vegetables in the morning. 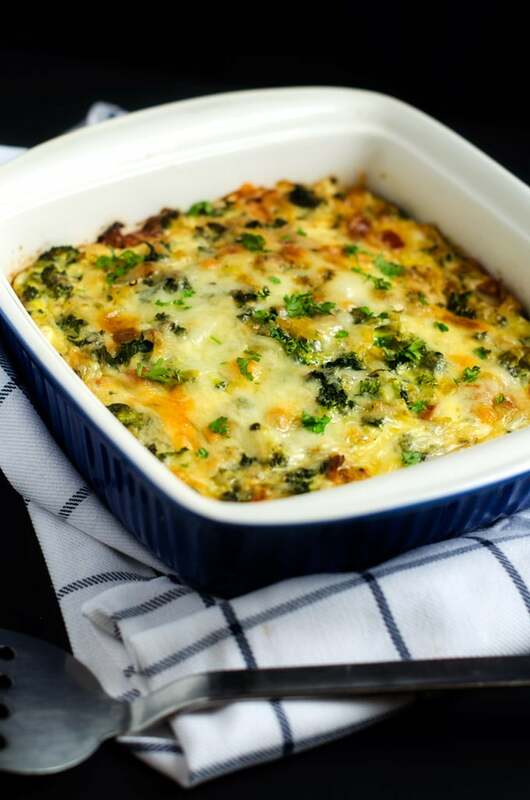 Another solution is a casserole that I can make ahead, like today’s Breakfast Quinoa Casserole with Broccoli, Kale and Sun Dried Tomatoes. I love how I feel after starting my day with this nutrient dense breakfast. Heat coconut oil in a skillet to medium. Add onion and cook for 5 minutes. Add broccoli and kale and cook until tender, about 8 more minutes. Spray a 9 x 13 baking dish with oil. Scatter bread cubes on the bottom of the dish. 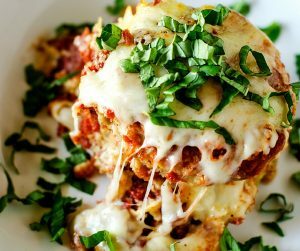 Sprinkle with 4 ounces cheddar cheese, 2 ounces goat cheese, cooked vegetables, sun dried tomatoes and quinoa. This looks fantastic! 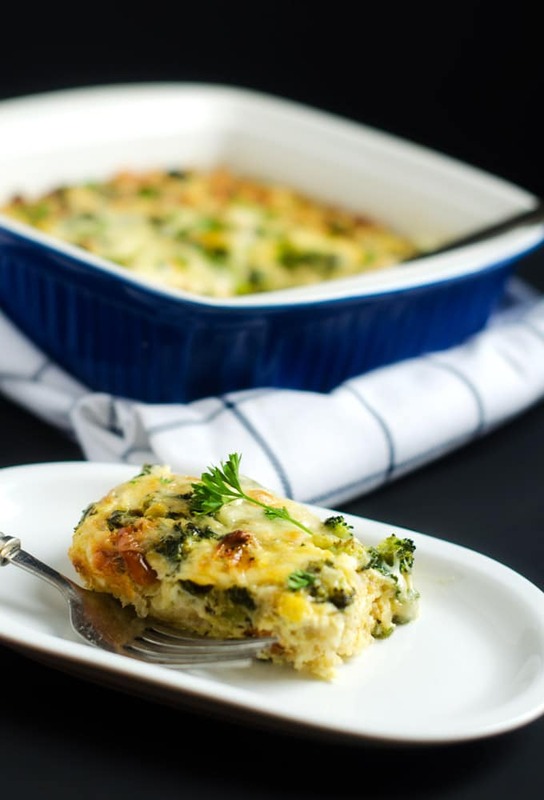 Not sure how well it would go over for breakfast w my husband and kids, but could def see us enjoying this as breakfast for dinner! And I’m with you – always ready for breakfast! This looks delicious! I don’t know how well it would go over for breakfast in my house, but definitely would do well at dinner time! And I’m with you – always need to have breakfast in the morning!